When I was 21, I traveled to Africa and found my life profoundly transformed through my apprenticeship with Sibanda, a Zimbabwean traditional healer who treated me as his daughter. He awakened in me a magic that I hadn’t found in the culture I was raised in. When I returned to the U.S. I continued to follow the voice within that magically led me to create the world I wanted to live in. 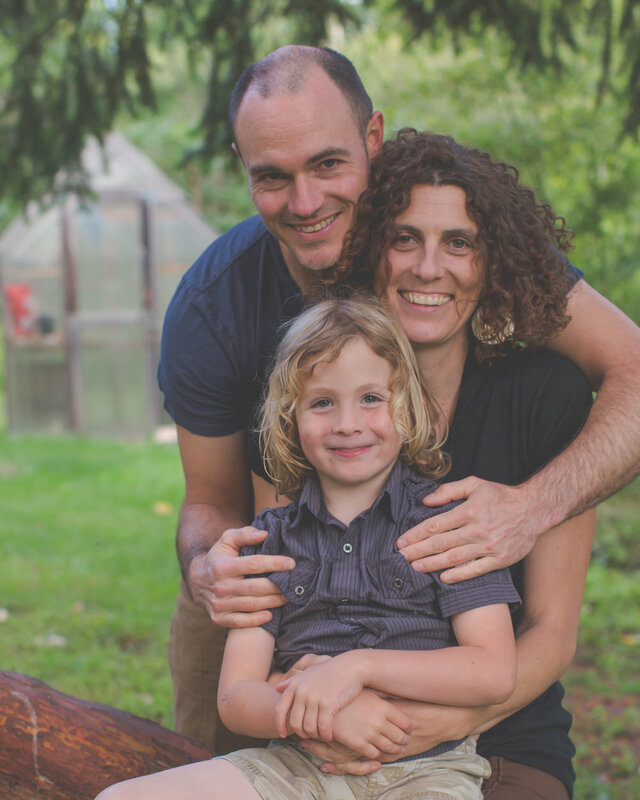 I moved west, became an organic farmer, married, launched two successful businesses, became a yoga teacher, co-founded an innovative schoolyard garden program, built a home, and became a mother. I was gonna do it ALLLLLLL. While each of these actions arose from the voice of my heart, I was also plagued by self-doubt, worry and anxiety. I often had severe headaches. An incessant to-do list seemed to run my life. My inner critic born out of patriarchy and colonialism and misogyny and injustice was literally running my life. Though I had accomplished so much in the physical world, I painfully came to find that I didn’t quite trust my own voice or my own body. I was still living from a place of fear instead of flow and joy. When an intense illness cast me into true despair after the birth of my son, I finally began the journey to the core of myself. I emerged from that deep work more whole, more open and more fully alive. I felt the presence of my ancestors, my guides, my higher self, my heart and all beings of the earth as my teammates. I found myself called to begin working with other women like me, the leaders and doers, the women who cannot help but take care of everything and everyone around them– and who need help hearing and trusting their own voices. Through my own experience and my work with many women, I understand first hand how living from your gut and heart inevitably brings you face to face with your own anxieties, pain and limitations because it is not yet the way of our dominant culture. I also understand that as we quiet the mind and listen to the heart and gut and highest self a new life of possibility and expansion and love and joy open to us.